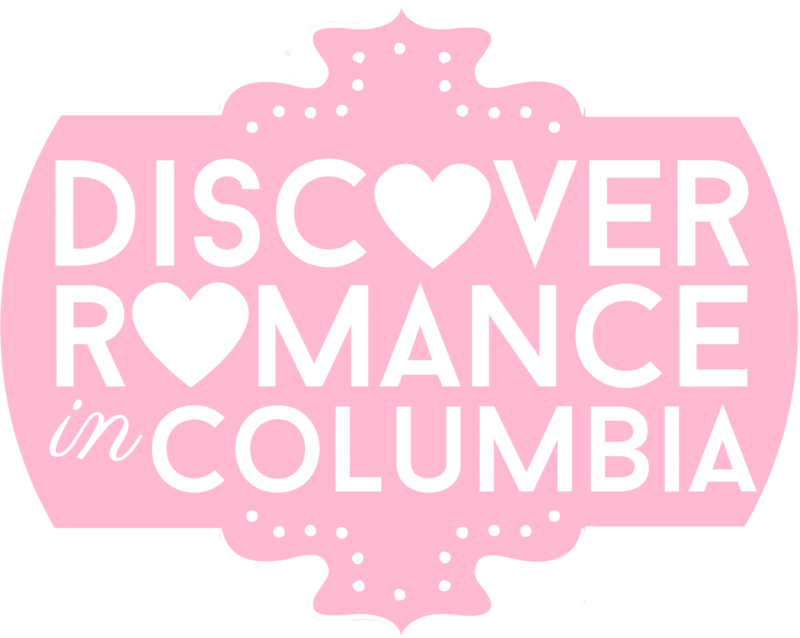 18 Great Date Ideas – Discover Romance in Columbia! Great Dates Columbia: 18 Ideas! Do you and your love bunny like a challenge? Have you ever been locked in a room together and have had to figure a way out? The Final Door is Greater Columbia’s premier escape room game! Spend an intense 60 minutes working together to solve puzzles, find clues and ultimately escape! A great way to learn a lot about your date when he/she is under pressure! Call (803) 602-2433 or click here! Step outside of your comfort zone and try something new and fun together as a couple! Tsubaki Restaurant Karaoke Lounge and Bar is located at 224 O’Neil Court, Columbia and is Columbia’s first dedicated Karaoke bar with late night Japanese cuisine and an original menu, plus it’s the perfect place to hit some notes. You don’t have to be a proclaimed singer to go and enjoy karaoke with your sweetie – just go and have fun. Drinks, food, and singing! What more could one want for date night? Shy about singing in front of others? Call 803.736.7474 to make a reservation for one of their private Karaoke rooms, small, medium, and large, each holding up to 8 / 12 / 20 people respectively. Each room is rented out by the hour and is great for couples looking to have a fun time. Their songs range from Oldies to New, and in different languages including English, Spanish, Chinese, Korean, Japanese, Tagalog, and a little Vietnamese! Here are a few suggested romantic tunes for your Karaoke date: Can You Feel the Love Tonight? (Elton John); For Once in My Life (Stevie Wonder); He’s So Fine (The Chiffons)! This creative little treasure hunt is sure to impress your date as you hunt the Greater Columbia area for tiny treasures that have had their coordinates published online. Be sure to bring a flashlight if you plan on geocaching in the dark (so much fun!) and your phone with a GPS system. Click here for more information. There are 2976 geocaches near West Columbia – the hunt is on. Do you want to surprise your cutie-pie with a groovy date? Take them bowling…in the dark, with disco balls and music! Pull an all nighter and bowl from 9:30 PM – 1:00 AM Friday or Saturday at Anchor Lanes (unlimited number of games for just $15.95 per person. Northeast Columbia’s Royal Z’s Moonlight Glow Bowling is your Cosmic Bowling experience in Columbia. Laser Lights, Disco Lights, Black Lights, and Runway Lights. Haze machines pumping out fog. LOUD heart pounding music. Bowling lanes even glow in the dark during our Glow Bowling Events! Head out to a local coffee shop and attend an open mike night – Drip, Art Bar, and Ms. Scotto’s are some of the ones that open their stage for amateurs. This is a great way to discover new music you both love or for either of you to showcase your talents! With your beau right beside you, you can’t mess up! Take a tour of one or more of Historic Columbia’s 4 historic houses! Visualize you’re both in the 19th century in this blast from the past. House tours, Garden tours, or group tours – they have it all. Or on the second Sunday of each month, join in for a guided walking tour of a different neighborhood in Columbia. Visit the Historic Columbia Foundation’s website here for more information and enjoy your walk into the past. Explore Columbia together like it’s your first time ever seeing the city! Visit all of the landmarks, parks, and touristy places you’ve never had the chance to see since you – you know – live here. Some great places to start off at are the State House, Busted Plug Plaza, the Riverwalk, and Finlay Park. You and your honey-bun will have an absolute ball when you take yourselves for a ride on the Columbia Brew Bus! Already taken the breweries tour? Here’s their newest offering – the Wine + Spirits tour lets its guests learn about wine and liquor making in the downtown Columbia vicinity. You’ll stop in at Copper Horse Distilling, Crouch Distilling and The Vino Garage. You’ll sample 3 liquors at each distillery and 4 wines at The Vino Garage. Tours with master distillers and Q&A sessions. Every other Saturday from 2:30pm – 6pm. Reservations:(757) 871-8150. More info here. Put your date into the “way-back machine”…like back to the 1950s! Have your own dress-up party (poodle skirt and pony tail for her and button-down and Brylcreem for him – “a little dab’ll do ya”). Then head to Denny’s Diner on Harbison Boulevard for burgers and a shake to share (2 straws). After Denny’s, drive to Scratch n’ Spins Records located in the heart of West Columbia. Find great prices on used CDs, VHS tapes, cassettes, laserdiscs, 12ʺ singles, 45s, and LPs. Pick out a few oldies together. Want to go even farther back…like the 1920s? Visit the Empire Supper Club in your proper attire and enjoy their entertainment. Click here to view their weekly entertainment schedule from jazz music to special foods served on “Foreign Fridays.” Have fun doing something different – you don’t have to wait for a costume party to dress up! What is better than a romantic date centered around a musical performance that is FREE? Not much. We in Columbia are so fortunate to have the USC School of Music with local and guest talent performing in its lovely recital hall and the elegant Koger Center… take advantage of this and plan to attend. This weekend brings these FREE concerts: Feb. 11th –Palmetto Concert Band,Blythewood High School Wind Symphony Feb. 12th – Clinic Bands. More info here! There are so many places in and around Columbia where your time serving would not go to waste and where you could deepen your love for one another as you selflessly serve, alongside your best friend. Enjoy helping the Nehemiah Project volunteers put on events for the less fortunate, or have fun working together as dinner cooks at the Columbia Family Shelter once a week, or assist in inspecting, sorting, and boxing the donated food that comes in through community food drives at either Harvest Hope Food Bank or Sharing God’s Love. There are so many opportunities, so simply enjoy learning more of their heart and be blessed as you work together as a team to make this city and surrounding areas a better one, with a much brighter future. Central South Carolina in known for its beautiful sunrises and sunsets, but how often do you and your love take the time to admire one? The Lake Murray Dam features a great paved path to walk and the perfect place to watch the sun sink below the horizon at sunset – admire the gorgeous pinks, yellows, peaches and tangerines of the sky reflecting in the sparkling lake waters. Perfect time to do a little dreaming together too. Or grab a bite to eat at Liberty on the Lake as the sun sinks and glimmers along the waters of Lake Murray. Riverbanks Botanical Garden has flowers throughout, but in the winter the majority of their color comes from thousands of different pansies and winter vegetables like mustards, cabbages, and kales. Almost every garden space in the Botanical Garden has something blooming right now. The Winter Garden and Midnight Garden also boast the sweet fragrance of winter honeysuckle. Edgeworthia, the Paper Bush, has white and yellow blooms that smell amazingly sweet in the Hot Border and Midnight Garden. The main annual bed plantings boast a stark contrast between white pansies and dark purple kales. Right outside the Visitors Center, there is a plethora of Hellebores, or Lenten Roses, blooming in shades of white, pink and purple. While the Botanical Garden is still a few weeks off from their bulbs beginning to bloom, there is plenty to see throughout the Garden. During this time, there are many plants with very interesting shapes and textures that are more visible during this slower time of growth. The South Carolina Botanical Garden at Clemson University is another great place to explore natural gardens, nature trails and natural landscapes and streams. With over 295 acres, the Garden is home to a 70-acre Arboretum, butterfly garden, wildflower meadow and many other specialty gardens. Over 300 varieties of camellias, hollies, hydrangeas, magnolias and native plants can be found in the Garden as well. Open every day, dusk to dawn. Free of charge. Let Your Love Take Flight! Helicopters Above Columbia offers tours that range anywhere from 15 minutes up to 2 full hours! You and your love have the option of either flying above the city of Columbia, or flying off to see a nearby city or other area. To get information on the current helicopter tours available, visit website. West Columbia Helicopter Services offers tours and rides just for you and your sweetheart! Offering a wide variety of helicopter tours in South Carolina, see the Palmetto State beautifully from a completely new angle! Tours show you the best South Carolina sightseeing locations from above, over breathtaking South Carolina state parks and tourist attractions! Pilots are experienced helicopter tour guides who fly in safe, modern helicopters and staff is knowledgeable and helpful. Visit their website here. Nice Day? Discover Outside Art! Columbia has a large number of interesting outdoor art pieces, and wouldn’t it be fun to ride around and see them on a nice day? Get out of the car, take selfies in front of each and you’ll have memories to cherish! 1. Tunnel Vision by Blue Sky: Don’t try and drive through it! Amazingly realistic tunnel entrance painted on the backside of an office building. 1550 Marion St. on the rear of the building facing Taylor St.
2. Busted Plug by Blue Sky: At almost 40 feet tall and five tons, this awesome structure pays homage to Blue Sky’s father who was a firefighter. Right now it is located at 1400 Taylor St., but plans are in the works to move it to another location. 3. Hootie and the Blowfish Monument: an abstract metal sculpture that almost forms a gazebo. Musical staffs rise from the cement, and curve about, reminding one of how music flows through the air. A huge guitar pick is imbedded in the sidewalk with the various achievements of the hometown band emblazoned thereon. Santee Ave. at Harden St.
4. Neverbust Chain by Blue Sky: Look up! A huge 25 foot chain links buildings in downtown Columbia. 1500 Main St.
5. Apollo Cascade: The brick-paved Boyd Plaza in front of the Columbia Museum of Art includes outdoor sculpture by works by Henry Moore and Robert Carroll’s fountain sculpture Apollo Cascade. 1515 Main St.
6. Sculpture on the South Carolina State House grounds: Besides being in one of the prettiest gardens in the city, the State House grounds is home to the African American History Monument by Ed Dwight, the Strom Thurmond statue, the equestrian statue of General Wade Hampton, a bronze life-size statue of George Washington and a beautiful bronze palmetto tree. 1100 Gervais St.
For the ultimate romantic “getaway” weekend, check in at any of Columbia’s fabulous hotels and enjoy luxurious amenities tailored just for you and your sweetheart. Sometimes a stay-cation is just what you need. The Inn at USC offers a stay for one or two nights in one of their opulent guestrooms or spacious suites, where upon arrival, you may find a chilled bottle of Champagne, chocolate covered strawberries or hot bubble bath. Your romantic getaway will include pillow-top bedding, free wireless high-speed Internet access and premium cable TV…also every morning, go down to the Palmetto Room for a complimentary made-to-order breakfast. The Hilton City Center offers an Enchanted Evening Package for the perfect getaway for two. Call today and reserve a customized package, tailored to you and your love’s wishes. For more info, visit their website. Treat your loved one to an evening of luxury and romance at the Columbia Marriott! Enjoy a night to remember with unparalleled service and elegant surroundings, that feature deluxe guestrooms and superior guest service, champagne, chocolates and breakfast for two. Staybridge Suites Columbia offers a Romantic Escape Package perfect for anniversaries, honeymoons, or just a special occasion! Upon arrival a bottle of chilled champagne and gourmet chocolates will await you in one of their luxurious suites. The friendly staff will assist you in making reservations for a romantic dinner for two at one of the many local restaurants in the nearby historic downtown Columbia area. Look forward to a full hot complimentary breakfast buffet in the morning, complete with Wolfgang Puck coffee! The Hampton Inn Historic District Hotel on Gervais Street offers spacious rooms, rose petal baths, mouth-watering chocolates including gourmet chocolate-covered strawberries, and a bottle of sparkling champagne. And if that’s not enough, you and your lover can enjoy a waterfall Jacuzzi surrounded by romantic mood lighting! Deluxe breakfast available in the lobby the next morning. Call over your friends and make it a double date night! Whip out your favorite board games and let the fun begin! Classics like Monopoly, Clue and Scrabble will get you started, and for close contact gaming, try Twister, where the challenge is to put your hands and feet at different places on the mat without falling over. The last player standing wins! Want to play some new, fun games? Try the board game Ticket to Ride (I’ve found that the Europe version is better than the original because the Europe version has train stations included & has incentives to collect wild cards, plus the cities are trickier to pronounce in this version and you really learn the geography of other countries better!) or if you want a group game in which everyone is working on the same team try Pandemic. Four diseases have broken out in the world and it is up to a team of specialists in various fields to find cures for these diseases before mankind is wiped out in this Pandemic Game. Board games, card games, or movement games like Twister are all fun, so invite your friends over and have fun! Head to Crepes and Croissants on Sumter Street and snuggle up at a table with your honey, a fresh pastry and your favorite latte. They serve Starbuck’s Frappuccino Mocha or Vanilla and they have lots of dessert crepes, as well as a variety of coffee treats. It is time to get cozy. This would be such a fun breakfast date! Opens at 7AM Mon – Fri, 8AM on Saturday, and 10AM on Sunday.